The Appiedore Key West cruise is a lot of fun because it helps you have a nice ending to what could have been a long day. This is one of the most peaceful places in the world, but it cannot be taken for granted. You must take this schooner out for a nice meal and drink, and you will feel as though you are floating through a movie or TV show. The people who want to have the best cruise experience go out only at night because they like to see the sparkles on the water. The sunset dips below the horizon while you are enjoying a drink, and you are given premium service. You also need to use the cruise as a way to help your kids have fun after they have hung out in Key West all day. The cruise is exciting because it helps you float on the wall as slowly as possible, and you get to eat as much as you want while the cruise is going on. The cruise has a pilot who lets you know the history of the area, and they float you to a place where the scenery is the best. Take many pictures on this cruise, and be certain that you have tickets before you arrive for the cruise. This cruise makes your trip more fun, and it helps you appreciate the scenery. 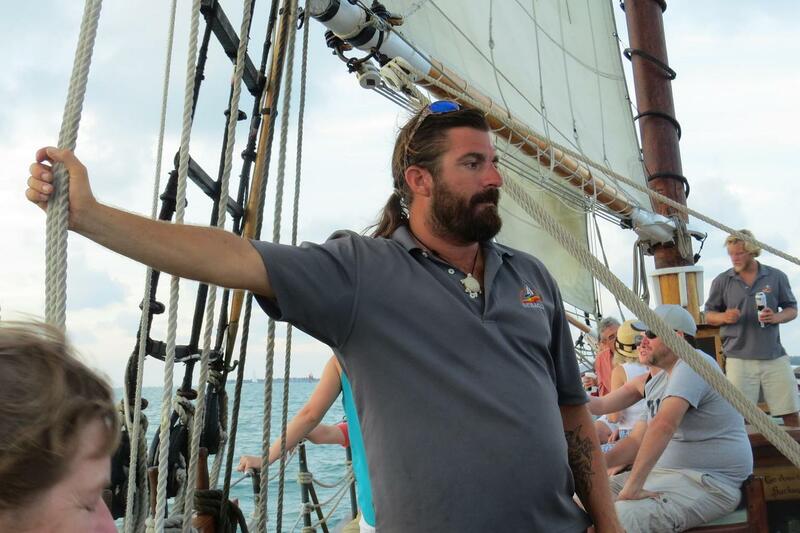 The schooner cruise will give you a lot of help with touring Key West. You get to see something nice while sipping a drink and eating very well. The Appledore has an abundance of comfortable seating, plus a broad deck you can stroll without ever having to duck the rigging. You are welcome to stretch out and relax, help raise the sails or take a turn at the wheel and experience first-hand the thrill of sailing a tall ship. Internationally renowned chanteyman Geoff Kaufman sings daily on the Appledore II for both afternoon and sunset cruises. Geoff has toured across the U&period;S&period;, including Alaska and Hawai'i, and extensively in Europe at major festivals in England, France, Germany, The Netherlands, Poland and Portugal. Last January, while singing on Appledore II in Key West, Geoff was proclaimed Offical Chanty Man Of the Conch Republic Great singing! Great sailing! Come on out today! 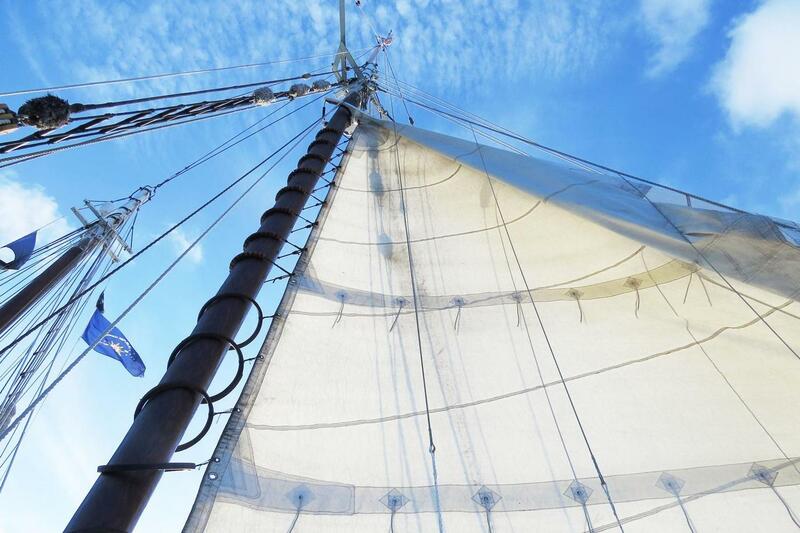 Join this two hour schooner sail around Key West's Historic Harbor. Includes premium beer, wine and soft drinks. Savor the warm breezes and a spectacular Key West Sunset with free Premium beer, wine, champagne, soft drinks and cheese platter on the Schooner Appledore. Cruises depart from Historic Seaport, at the foot of William Street, Key West. Departure Times: Day Sail departs at 2:00pm. 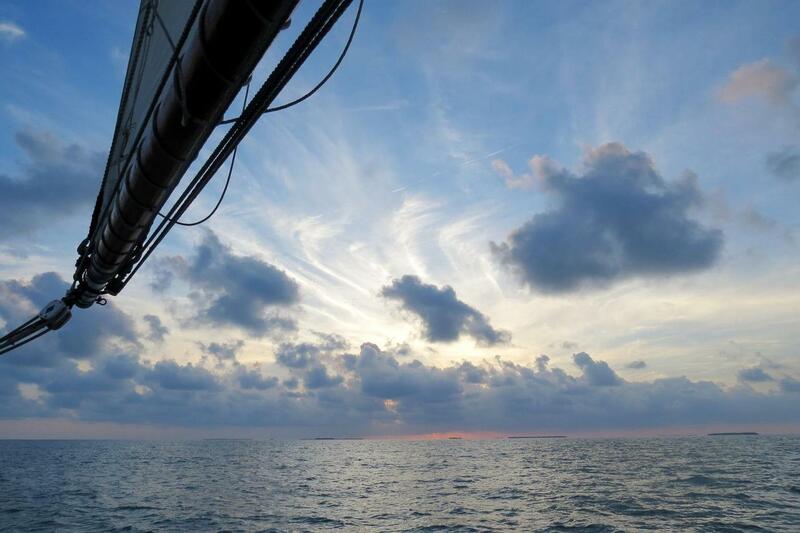 Sunset Sail departs at varying times depending on the time of sunset for that day. Your departure time will be given to you when you call to re-confirm your tour.